Oil study on painted white board. 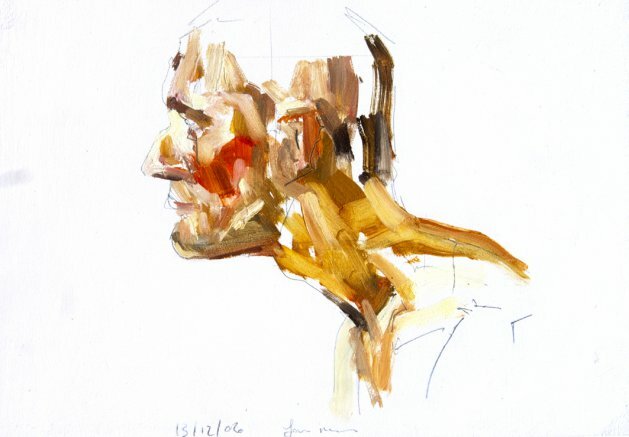 This male figure study was produced during an intense period of observation. My task is to obtain a freedom of application, relying on my experience and instinct to achieve my objective.